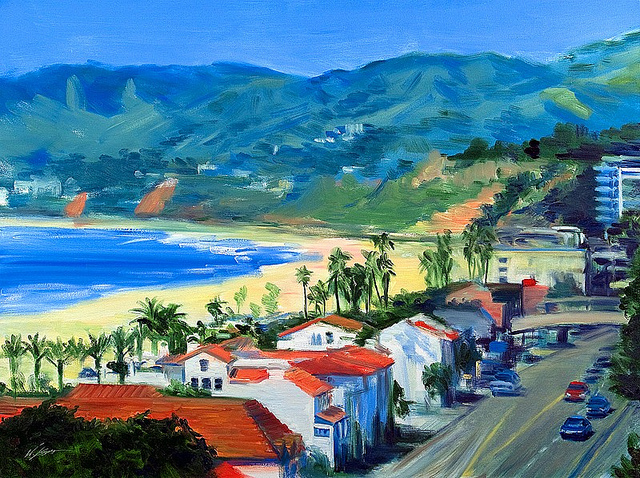 Experiencing Los Angeles: "View Of Pacific Palisades and PCH from Santa Monica"
"View Of Pacific Palisades and PCH from Santa Monica"
Los Angeles area artist Warren Keating's View Of Pacific Palisades and PCH from Santa Monica does a fantastic job capturing the beauty and appeal of coastal Los Angeles. Click on the image if you'd like a slightly larger view. More information can be found at www.KeatingArt.com.